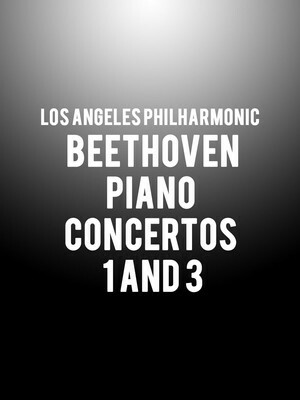 Why See Los Angeles Philharmonic - Beethoven Piano Concertos 1 and 3? Gustavo Dudamel and the Los Angeles Harmonic welcome two prominent ivory-tickling virtuosos to the Walt Disney Concert Hall stage as part of the Saturday Evenings 1 Series this spring. After the ensemble performs Beethoven's Egmont Ovwerture, American pianist Conrad Tao will infuse the composer's First Piano Concerto with his ferocious talent, dynamic key touch and probing intellect, bringing its melodic vigour and delightfully lyrical phrasing to the fore. Completed in the year 1800, its high spirited orchestration and rhythmic syncopation conjure an air of melodrama and mischief. After a brief intermission, young Italian piano sensation Beatrice Rana will then take to the stage for an electrifying performance of Beethoven's elegant and soulful Piano Concerto No. 3. At the astounding age of 24, Rana is becoming a frequent fixture in the international classical music scene. Her erudite interpretation, technical prowess and poetic playing style is perfectly suited to the Third's intricate phrasing and vibrant orchestral color. Sound good to you? Share this page on social media and let your friends know about Los Angeles Philharmonic - Beethoven Piano Concertos 1 and 3 at Walt Disney Concert Hall. Please note: The term Walt Disney Concert Hall and/or Los Angeles Philharmonic - Beethoven Piano Concertos 1 and 3 as well as all associated graphics, logos, and/or other trademarks, tradenames or copyrights are the property of the Walt Disney Concert Hall and/or Los Angeles Philharmonic - Beethoven Piano Concertos 1 and 3 and are used herein for factual descriptive purposes only. 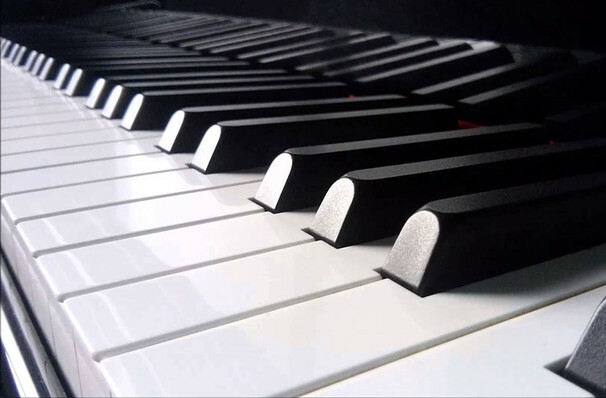 We are in no way associated with or authorized by the Walt Disney Concert Hall and/or Los Angeles Philharmonic - Beethoven Piano Concertos 1 and 3 and neither that entity nor any of its affiliates have licensed or endorsed us to sell tickets, goods and or services in conjunction with their events.